While I write for this new issue of FOOTNOTES I am repeatedly distracted by TV reports of the war in Iraq. The embargo has heaped further and now immeasurable suffering on the people, who have been previously enslaved by a cruel, inhuman and Stalinist regime. It must be brought to an end. Saddam and his Ba'ath regime must be removed, if there is any substance to the concept of human rights, the rule of law and ‘truth' not limited to national or religious boundaries, to geography or personal interests. Vivid counterpoints to the reporting in such detail from ‘imbedded' journalists are the pictures of antiwar protest by small and large groups around the world. Such is the confrontation with much of life in the open society, for which our parents and grandparents struggled with such valor and sacrifice. The possibility of sitting in my armchair with a cup of tea, following in great detail the advances of the troopes, the battles, the explosions, the loading of B-52s and the smoke and destruction right in front of my eyes in the same way I can follow a soccer match or the Antique Roadshow, is both attractive and repulsive. This is such a very accessible war, only ‘censored' by what the journalist chooses to see and report. But it is a lot of very immediate, startling and catching imagery. It includes pictures from all of life and includes also the faces of danger, compassion and death. It is amazing to see the lights of Baghdad, the pinpoint explosions, the traffic under the anti-aircraft guns across the bridges and to meet the journalists interviewing soldiers in the midst of battle, on tanks and carrying water bottles to their comrades as well as for POWs. The human side of war this time includes evidence of every effort to explain, to limit casualties, to be realistic and to be accessible. No contrast could be more shocking and disgusting than the very different way the Iraqi regime (mis)treats its POWs. We see so much of it right on the screen. Because it is so easy to distort reality all of this is part of our need to be informed. It is a sobering way to work against the widespread cynicism of a whole generation about government, authority, the military and the media. Each person sees himself as the center of their ‘truth' and expects personal satisfaction of their doubt or curiosity. This is made easier for us, who for the most part have little contact with the Military or any authority: some, because they do not see the relationship between rights and obligations; others, because they believe that a democracy's insistence on equal rights to all is suggests also reasons to assume that each personal view is equally right. And that, in turn, is the result of a number of factors, including the experience of unfounded authoritarianism and many lies for purposes of manipulation and deception in high places. Under a volunteer army few today have any real contact with those, who chose to learn how, and then stand under orders, to defend the country. It has become a specialized job, and is not even highly esteemed by many people. The poor and uneducated tend to end up there. The wealthier and more educated volunteers are easily considered damaged in some other way, not fulfilling their full potential or their professional qualifications. The other army marches in protest, as is their right. The pictures of that opposition to the war from around the world are startling in a number of ways. Firstly, they show a large proportion of teenagers. Some carry armor in the form of studs in their noses and safety pins in their eyebrows. Their uniform is random, divers and colorful. The only tank they know they wear as clothes on top. They resemble somewhat the children's crusade of a past century or the group that followed the infamous piper of Hamlin. They are filled with a deep longing and many desires, but they have little discernment or historical overview. They lie down to draw lines around their body on the street and then get up again, for their body will never lie for earnest as long as they are protected by the professional military. An older group of protesters takes to the streets to mostly re-live an earlier period of protest during the Vietnam years. They now approach retirement. Enough time has passed for them to forget that the peace they demanded a generation ago also resulted in the tragic plight of boat people and those in reeducation camps, many of whom never made it to the land and freedom they sought to reach. During the past 12 years of Saddam's cruel rule and defiance of the world community, during the four Belgrade wars and European genocide in Yugoslavia, during the murderous practices in Rwanda, the steady repetition of African civil wars, during the inhuman regime of the Taliban in Afghanistan or the persecution of dissent in China these protesters were working for their retirement security, which they now see threatened as "all (us) the old bags." On March 23 the NY Times wrote of them being united only by the "fear of the consequences of war.".. "Fittingly, the signs at demonstrations have told the story not of philosophical uniformity, but of sprawl." They still believe that protest can change things, but lack a coherent alternative vision. They are less utopian or ambitious than in times past. In fact, the demonstrations against the war in Iraq "reflect the endless refractions of the Internet." There is no protest to change a dominant culture or value system. Most seem to want their personal peace and safeguard their affluence, for they are unwilling to sacrifice their comfort to create and safeguard a somewhat more lawful world. They believe in their human rights, but do not apply them universally to others. I find this attitude shameful, because there has been hardly any protest before about Saddam's cruelty to his own people, his defiance of the world community, his breach of International Law. There was little outcry over earlier UN failures in Serbia, Afghanistan, in Rwanda, Somalia and any number of frequent civil wars in Africa. But when it becomes a matter of possibly touching their security, limiting their pleasures and reducing their oil supply the protesters take to the street. War is something none is glad to fall into. Reserved to be the last resort does, however, mean that it may become necessary. If it is always pushed off it will cease becoming the ‘last,' it will be ‘no resort' at all. The just war tradition, the Geneva Convention, the gradual search for alternatives, so that, in a reversal of Clausewitz, one can say that "politics is the continuation of war in another form," come from the Western, Jewish and Christian tradition. So do the efforts to affirm ‘universal human rights'. Neither African tribes nor Asian religions and societies have such a universal scope to their understanding of what is true and right. They are authoritarian within their tribe, ‘postmodern' in the cultural and religious outlook on others. Revenge is always justified to maintain order. Mercy and grace have no model in their worldviews. Conformity to (cruel) power is demanded, just like with our own dictators. Legalism, not a moral law, controls all of life. From the Biblical tradition comes the understanding of government under law, of praying for and standing up to authority. Caesar may claim taxes, but God lays a claim to what bears his image: the whole human being. That tradition also calls for us to fight evil, to have government use the sword against wrong and for good. Power is to be under reasonable and moral norms, not under rules from unquestionable control only. But a free and moral society demands personal commitment to morality, and a public debate of what that is. In pursuit of ‘the good' for the people of Iraq war has been pushed off until it was the last resort. An ultimatum was extended after two decades of known inhumanity. The how and where of surrender were explained and the efforts to impose law have become public. Now that war started the men and women in the field have so far carried out their orders in the kind of humane way I remember from the Anglo-Saxon liberators in 1945. Even the Pope's words have been taken seriously and the responsibility before God accepted. The just war concept of Augustine (who is easily given too much credit for a variety of his views; they are not ‘prophetic') is upheld in its limitations. He never knew of the modern possibility of facing an enemy you cannot even see. Modern means of rapid delivery over distances make it insufficient to only prevent evil actions; stated intentions need to be stopped and their execution hindered. Faced with such complications the content of the protest is thin, lacking in moral fiber and historical accuracy and solid arguments. It is based more on caricatures than people, on avoidance of personal hardship than on having a different solution. Abroad, France and her friends have for the time being lost their moral credibility by a series of practical contradictions: promising now to veto their own past resolution, selling spare parts to the Iraqi military, being the large trading partner with Saddam, interfering in Africa without UN authorization, telling other countries that "they missed an opportunity to shut up." This is no way to gain or maintain respect for any contribution in search of justice among other nations. It expresses perhaps a frustration over being neither in the position of the former Soviet block nor as an equal partner in the Western alliance to restrain possible American hegemony. France resists with considerable success modern incursions of English into French, of hamburgers into the realm of Paté de fois gras, of Hollywood into French culture and of stress, haste and confusion into a way of life that enjoys intelligently some of the real pleasures of work and human existence. But she also fails to see that it is the Atlantic model most people crave. They wish to establish markets across the globe, live under governments that restrain evil with law rather than governments that control them, and have the personal freedoms to select better service, whether in merchandise or health care. That has its downside as well, but it should be left to people to figure that out rather than to a UN veto. I end with my own reservations, which are based on my concern over widespread and probably blind optimism about the human race in general. It overlooks Arab nationalism, Islam as a religion and history as a cultural and intellectual prison in Arab countries. In contrast to Biblical insight, Allah's people will always triumph. There is no "Babylonian captivity", in which the people accept their punishment for sin and do not consider it a failure of Jehovah. Freedom from fear is a desirable goal for Iraq's citizens, so that the vast collateral damage to the thousands under Saddam's cruel rule over his people and neigboring countries can be stopped. But for many believers in Islam any increasing freedom itself is threatening the stability of such values as family, rules of behavior and security. Just as Russian society is not as prepared yet even today for democracy as Germany and Japan were in 1945, so also is an Islamic society ignorant of the basic building blocks of responsible self-government. A lot of work and time will have to be invested in this quite noble undertaking of liberating Iraq and setting up a beacon of human creative freedom to shine into the countries surrounding it. I fear too many optimistic expectations of change, when a continuous groundwork is required to affect the basic Islamic outlook on life and to create a sense of individual responsibility and high view of each human being. Allah himself needs to be reviewed. For, is he not in some way a very distorted and heretical projection of the God of the Bible: distorted, because there is no love, mercy and moral clarity about him; and heretical, because Islam presents all the emphasis on unity and power, without any of the diversity and humanity, which we find in the Bible. It is an interesting observation that where Marxism was a materialist perversion of Christianity, Islam is a religious one. Allow me to suggest as not too far off the mark that in this sense the Cold War continues with a new opponent: Islam, just as Marxism before, also does not favor the human being and is enviously protective of its claim to truth, without ever measuring itself in the market of reality. The one claimed the authority of Science, the other claims the authority of God. For neither of them do history and reality and the human being have any relevance. Observe a child and you will notice how much all touch and smiles, all language efforts and play are grouped around one central need: To understand reality and thereby to get on top of it. Human beings set out to have dominion, to develop skills, to control and to create a situation they can then manage. Right from the start in early childhood we expect to find a design to our life, a plan to proceed on, a program that would indicate what comes next. This is tied to the way our brain works with information received through our senses. All experiences gathered every day are put in relationship to each other. Items in the real world stand in relationships of cause and effect and the coordinates of space and time. We know no other world, except in the realm of fairy tales or magic. In fact we know then that this is magic or just a story, when the familiar coordinates do not apply and the power of the princess to transform the frog with a kiss into a prince is rich imagination, but not ever a confirmed experience. We observe a pursuit of control through knowledge, leading to greater security, when we know what to expect. Even when we face each day with a willingness to be surprised and open to all kinds of challenges we are more likely to do that when home and hearth are secured. Only a recognized passport will make us free to travel. Knowledge with certainty will free us to seek more. Checked breaks on a car allow us to go faster. We are never totally free, but always only within a context. Our freedom is forward and outwards, never backwards or beyond creational parameters. We dare to step out, to explore, to invent and even to emigrate when we can be sure of skills, our imagination and ourselves. With enough knowledge of the limited and defined reality of the world, which existed already before we appear on the scene, we dare to move about. Security and purpose exist when there is a plan or program and things are not random, when things are defined. Ignorance of a mostly dangerous and easily threatening environment will bring about bruises from the definite shape of things. In turn, careful study and ongoing discoveries have helped us to work with what is the shape of things. 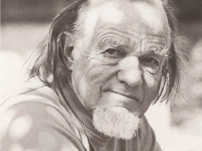 Francis Schaeffer talks about ‘the universe and its form' and ‘the manishness of Man' as the two central and unavoidable, even unmovable realities for which we must have an explanation. They are the givens of reality. The former affirms order against chaos, the latter points out personality (individuality, choice, responsibility) in distinction to the machine of nature. In the former realm nature will remain hostile and a source of fear. In the latter people will relate to others as less than human, i.e. as animals or machines or just numbers. Ignorance and inhumanity result from insufficient philosophical and spiritual frameworks and practices. For that reason failure to acknowledge the ‘universe and its form' or the ‘manishness of man' also leads to judgment from God, according to Romans 1 and 2. For, there is no excuse to suggest total randomness in nature, which functions in an orderly manner, and determinism in the human being. He or she always acts out their ideas. The evidences in both man and nature point in another direction. They speak loudly and show the foolishness of all our assumed cleverness. Failure to bow to the laws of nature is an ignorance from which no superstition can liberate us. Likewise, failure to deal with human beings, as they exist in every expression of individual personhood, leads to inhumanity, arbitrary law and survival, for a time only, of the ruthless. The form of the universe suggests a structure, an organization, a scientific rationality. The most intricate and complex system is still a system without a mind of its own. In all time we will not exhaust the details of the workings of creation, but they are working, not just happening without links, or causes and consequences. Not only does the human mind think in terms of cause and effect, of relationships. We see time this way and formulate sentences that describe who does what to whom at what time and where. Our whole view of the world and life assumes rationality before we invent stories of weird events. Reality itself, into the smallest particle, follows a program of behavior. We can describe reality and check it. We eat and fly in it with certain expectations. Chaos theory and Quantum physics, I believe, address much more our ignorance in many things and our openness to surprises than a fundamental change in the nature of particles to choose sovereign or spontaneous actions. There is an order to the universe, a program that defies all assumptions about chance. The belief in a rational God, an intelligent designer, in clearly distinct categories is the appropriate response to this remarkable and unavoidable reality of the ‘universe and its form'. From our Christian and Jewish heritage we take the wider explanation for this than merely our view of things. The form does not only appear to be that way to our structured minds. Our thoughts do not that reality make! Rather it is this way because the personal-infinite God of the Bible has created a world with definitions. He distinguishes between water and land, between inanimate and animate beings, between Man and beast. Even in the Eternal Trinity, God of unity and diversity, such distinctions really exist. The Father loves the Son, for they are not the same. All three persons decide ("let us") to create that real world outside them to look at it with holy pleasure. Little surprise then that out of the Biblical view of things has emerged a more purposefully scientific mindset than is found elsewhere. Only ‘sure' things can be measured, counted and worked with. A continuity is assumed and recognized from the God of the Bible to the ‘universe and its form'. Polytheism, pluralism with competing deities and uncertain authorities, does not lay the cultural basis for rationality, though one finds some people to proceed thoughtfully and rationally in spite of their worldview. Yet as a worldview it suggests that everything is left to personal perception and belief. Due to limited resources and building code restrictions Hindus in one city in America even voted democratically which deity the majority wanted to worship there, subject to change like a human government. Monism is found in three forms or manifestations. There is a personal monism held in Islam, where Allah alone is God and you loose your personality in massive and programmed obedience without discussion. You find a religious impersonal monism in Buddhism, where everything is a final One or unity, in which you loose yourself. And you come across a secular monism in the scientific dialectic of Marx, where nothing is left to human personality. In each of these forms of monism all reality is finally structured or determined by god, by being or by history. ‘The will of Allah' or the ‘pregnant void of everything' or the ‘inevitable progress of history' leave no space for moral or intellectual inquiry. Form in social law and nature's ways is authority, defines everything; obedience and spiritual discipline are the appropriate human responses. The ‘manishness of man' is the other remarkable observation for which we need an explanation. Most religions attempt to make peace between nature and the human being by seeing both finally as part of the same reality. They seek to establish a fundamental unity in a closed system. They want to remove the gap between machine and man and see the latter, or the human, as part of the former, or the machine. All kinds of deterministic views about the human person have their origin in this search for a single form to reality. The Bible alone from the beginning singles out the human being as very different. While the earth brought forth creatures according to their kind (Genesis 1:24), God created Man. He is not an emanation of earth, but a distinct personal creation in the image of the creator, as male and female. His body is made of dust, but he has life as a person from the Spirit of God. He lives by bread, but not only by bread. In addition he requires an explanation, and orientation, a developing mind and a sense of his own responsibilities for the choices he will always confront. We find a wonderful affirmation of this ‘manishness' of man' in Psalm 8. God is praised for having made Man, the human being, a ‘little lower than the angels'. Even compared with the power, diversity and magnificence of the earth and sky the human being is crowned with glory and honor (vs. 5). To Man God has given dominion over the works of God's hands, over nature or ‘the universe and its form'. People are in, but also above, nature, on which we impose the culture we chose to create. We are even mandated to create a culture. God finished his original work in six days. He took that time, however long it was in solar days I do not know, and then told Man to subdue the earth, to have dominion, to love his wife and to have children, to name the animals. How Adam and Eve structured their marriage was not told by God. Neither did he tell them how many children they should have, where they should live or who would do the dishes. All kind of other areas were open to their creativity, which would continue from the mind and hands of those who had been made in God's image, ‘a little lower than the angels', but certainly higher than nature, animals and trees. ‘The universe and its form' was not to be the model for human cultural action. That, and nothing less than that, is ‘God's wonderful plan for your life': to be a creative human being in recognition of God's ownership of creation, but with all kinds of avenues open to be explored, to be enjoyed and to express therein the wonder of individual personality. What has been taught as the ‘wonderful plan' has unfortunately often reduced us to something less than being a creature in the image of God. Sometimes the wonderful plan ‘for your life' has in reality cut you off from much of life. Paul does not ‘count all things as loss' and ‘rubbish'. He only says that when it comes to knowing Christ for salvation (Phil 3:7f) he does not rely on his education, family background or parental lineage. When ‘spirituality' takes on the character of something non-material, otherworldly, and despising the mind or the body it is not from the God who created us with minds and bodies in real time and space. Spiritual is not a description of the immaterial, irrational and unreal. Those adjectives should be applied when you have had too much of ‘strong spirits'. Biblical spirituality consists of knowing the mind of God revealed by his Spirit to our Spirit (1st Corinthians 2:6ff). In the same way the wonderful ‘plan' for your life is not the same as what God had in mind for impersonal things (‘the univese and its form'), which function according to their kind, or as we would say ‘according to the laws governing their nature'. Our human nature is quite different, in that we need to know, think and discern. Our nature is unlike the nature of trees and animals with a built-in form. They have no choice, but we do. God's plan is therefore not that we follow a tight program, but that we create, invent, subdue and alter what is already good and make more beautiful, and correct, what is evil, hurtful or ugly. In addition, according to the Bible, we are not free to assume that any situation we are in after the Fall of Adam and Eve is in accordance with the ‘wonderful plan' of God. It may well be in the plan of our enemy instead. This is not a good world, but one in which God grieves, fights, intervenes miraculously and for the present limits the power of the evil one until he will eliminate him in the end. We pray for God's will to be done, since not everybody is doing it yet here on earth the way it is already being done in heaven. But even without that consideration God does not have one plan for your life that includes what to wear: a skirt or pants today; to eat soup or fish; to study or to witness for Christ. His plan is that you live, create, love and honor him and what is precious to him. His plan does not dictate whom you might marry or what job you prepare for. His plan is that as a human being you would seek wisdom and righteousness in relationships, and a life of good work and faithful and generous service, which you will need to be fully human. "He has told you, O man, what is good; and what does the Lord require of you but to do justice, and to love kindness and to walk humbly with your God." There is no openness, or unfinished ignorance, to the knowledge or character of God, as certain modern theologians wrongly assert. But there is much openness in history to human and divine action, creativity and joy. There is real history with significant choices and consequences, a history in which those who then die in the Lord are blessed: "They may rest in their labors, for their deeds follow them" (Revelation 14:13). Whenever we try to impose on our human calling, (‘a little lower than the angels' or ‘the manishness of man') the forms and laws of ‘the universe and its form' or ‘a plan of God for stones and trees' we do not honor God, who has made us in his image, while all other things were ‘merely' brought forth from earth. There is nothing wrong with the phrase that God has a wonderful plan for our life. It speaks of God having a mind, being a loving God and investing himself for his children. The good news is that we do not live in a universe of chance or impersonal matter. But it is a grave shortcoming when the plan of God is reduced to the plan of salvation or a plan to get to heaven. Firstly, this view obliterates the Biblical affirmation of life on earth, as human beings, with a creation mandate to live as human beings. Such a view erases the whole Old Testament focus on creation of a material and historic world. Without the Old Testament we know nothing of God's moral character, of the purpose of creation, of the fall and of a multitude of other essential realities. It leaves us with a poor copy of what Greek mystery religions teach about a secret way out of life on earth into a spiritual existence. It is a view much closer to Plato and the need to free the soul from the material body than what you find in the Biblical affirmation of the resurrection of the whole person, body and soul, in history. Secondly its focus more on personal development than on God being the Lord of the universe, a creator at work to restore what sin had destroyed, may allow me to feel better about myself, but robs me of any concern for people, history or God's creation. For in this view I will escape it all in the end. I am left with an inner journey of mysteries, not a historic transformation of a broken creation of God.